Thanksgiving Day- a day for family, food and gratitude. Hopefully you'll have plenty of all 3. This year BB will be celebrating sans grandbabies. Si, I know, but travel was not possible and though I will miss them I am thankful for the times we did share and will share again. The boys, they already were reminiscing about the turkey drumsticks so I know they're looking forward to the next time we celebrate together and truth be told, after almost 2 months in Miami Babushka is still bushed and needs to chill. In every sense of the word. Another 90 degree Dia de Dar Gracias? JU SO FONII !!! Besides, common DNA is not the only requirement for family. Family- familiar, feeling "home", feeling welcomed...here in my little town Ms. June, owner and heart of The Skybox truly lives the meaning of the day. In gratitude for the community's patronage and to be a place of joyous gathering for all she prepares an open feast. Family, food, and gratitude. Yep, she's got it all covered and she's one more reason for joy on BB's long list of blessings. 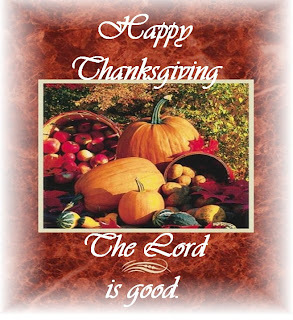 May your Thanksgiving be plentiful and the bendiciones bountiful. P.S. The Skybox- hometown hospitality. Thanks so much for being the first to join This is Wherever Wednesday! Enjoyed hearing your story.